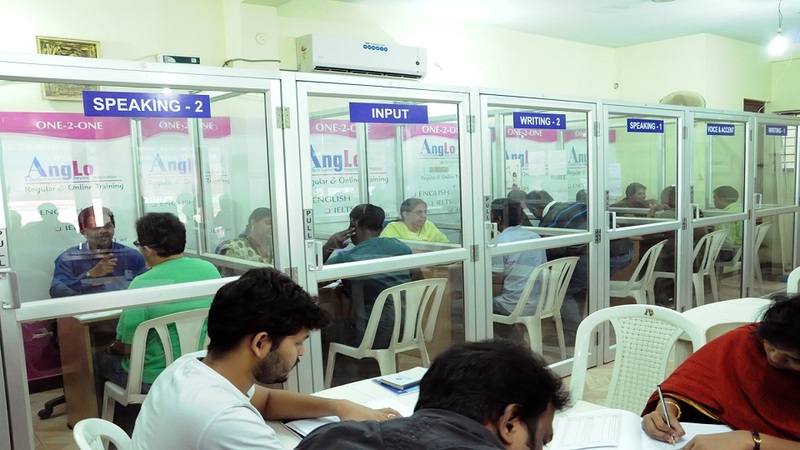 PTE Academic - Pearson Test of English Academic at One-2-One Training or Coaching at AngLo English, an ISO 9001 Certified English Training Center Regular and Online Coaching classes in Chennai, Tamilnadu. India. Empowering Young Indians through Effective Communication. 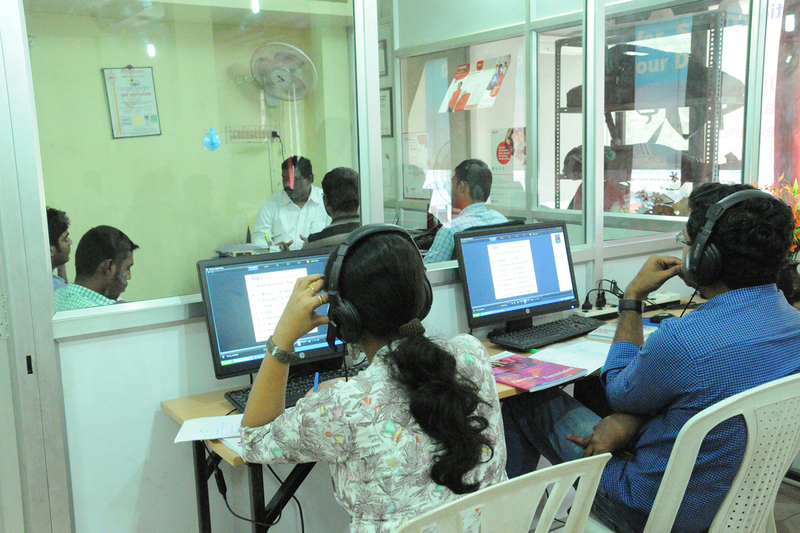 One-2-one Regular and Online Training for Academic / General Training at Flexible timings. One-2-One Effective Training for Proessionals, Corporate Employees, Students and Job seekers. IT Profssionals, BPO and MNC Employees may strengthen your Accent to interact with Native Speakers from US and UK. Test of English as a Foreign Language Internet Based Test to Work / Study in USA. The Pearson test of English Academic is a computer based academic English language test for study abroad and immigration. PTE Academic is a three-hour session with three main parts to the test. - A text appears on the screen. Read the text aloud. - After listening to a recording of a sentence, repeat the sentence. - An image appears on screen. Describe the image in detail. - After listening to or watching a lecture, re-tell the lecture in your own words. - After listening to a question, answer with a single word or a few words. - Write a 200-300 word essay on a given topic. - After listening to a recording, write a 50-70 word summary. - After listening to a recording, answer a multiple-choice question on the content or tone of the recording by selecting more than one response. - A transcript of a recording appears on screen with several gaps. After listening to the recording, type the missing word in each gap. - After listening to a recording, select the paragraph that best summarizes the recording. - After listening to a recording, answer a multiple-choice question on the content or tone of the recording by selecting one response. - After listening to a recording, select the missing word that completes the recording from a list of options. - The transcript of a recording appears on screen. While listening to the recording, identify the words in the transcript that differ what is said. - After listening to a recording of a sentence, type the sentence. - After reading a text, answer a multiple-choice question on the content or tone of the text by selecting one response. - After reading a text , answer a multiple-choice question on the content or tone of the text by selecting more than one response. - Several text boxes appear on screen in a random order. Put the text boxes in the correct order. - A text appears on screen with several gaps .Drag words from the box below to fill the gaps. BASIC BRUSHUP on Grammar- if required. Hard work and Honesty are the secrets of AngLo's Success!! Since it's a one-2-one training arrangement, you may commence your training on any day. A big team is waiting to provide you a valuable and a pleasant experience. 6.Received 9 state, national and international level Awards and citation for the Excellence in the field of Eduation. 8.AngLo provides Original and latest Book Materials by Original PTE People. Original Official Guide for PTE Testing & AngLo's for Effective Training. AngLo has grabbed State, National and International Awards for its Achievements and Excellence in Education. All the dedicated Trainers, sincere participants, supporters and well wishers across the world deserve the Director's Bow. 9.Certificate of Appreciation from IG of Police,Intelligence,TN.